Quiet. It was still silence as Mike and I rode the shuttle from the hotel to our consultation at Dallas Children’s Medical Center. We exchanged glances back and forth, sharing acknowledgement that this was the appointment we’d been waiting for. We are here. As we stepped off the shuttle, we gazed at the large campus dedicated to caring for sweet babies and children. I expected to be flooded by intimidation. Instead, I felt awe. We registered for our visitor badges and began walking to our clinic floor. I was glad we had arrived early. There was so much to see and take in while making our way to the third floor. As we passed a giant wall of glass, I looked down over a small village with trains. I smiled to think how much our two-year-old son, Jack, would love this view. As I turned to look forward, my eyes caught the sight of a nurse navigating a large machine through the suddenly narrow hallway. Multicolored wires seemed to protrude from every corner and surface of the giant device, and my eyes had no choice but to follow them. Winding like creeks, the wires soon met up with hooks and clips, and suddenly my eyes met the tiniest baby I had ever seen, nearly covered by the rivers of wire. A mom and her newborn were out for a walk with a nurse at hand. I quickly diverted my eyes to the floor as we continued to walk to the elevators. Startled by a reality I wasn’t yet ready to know, the soft rhythmic sounds of the passing machine were replaced by my own pounding heart and rapid breathing. I could feel the tears start to well up as we stepped into the elevator and continued our trek to the third floor. A nearby restroom offered me the space and solace I needed to regain the strength needed for the appointment ahead. When I joined Mike in the waiting room, we sat quietly. Then we heard it, “Harris.” It was go time. I knew the drill, “Dad you can sit there. Mom you lay here.” Then the flood of typical questions would follow. What? His name? She wants to know his name?! “Samuel,” I said in disbelief. “That’s a great, strong name,” she said, and we continued our appointment, followed by a tour of the cardiac NICU. It was a long day—one that would typically leave me eager to head home and melt into the first seat I could locate. Even the seat of the car—hot from the summer sun—was welcome and somewhat soothing after these many doctor visits. However, this time felt different. I was at peace. I even felt a sense of sadness leaving the hospital and heading to the shuttle that would return us to our car for the 3-hour ride home. “They asked his name,” Mike said. I nodded my head yes, smiling. As Samuel continues to develop, we are left with many unknowns and potential scenarios as to what may be. 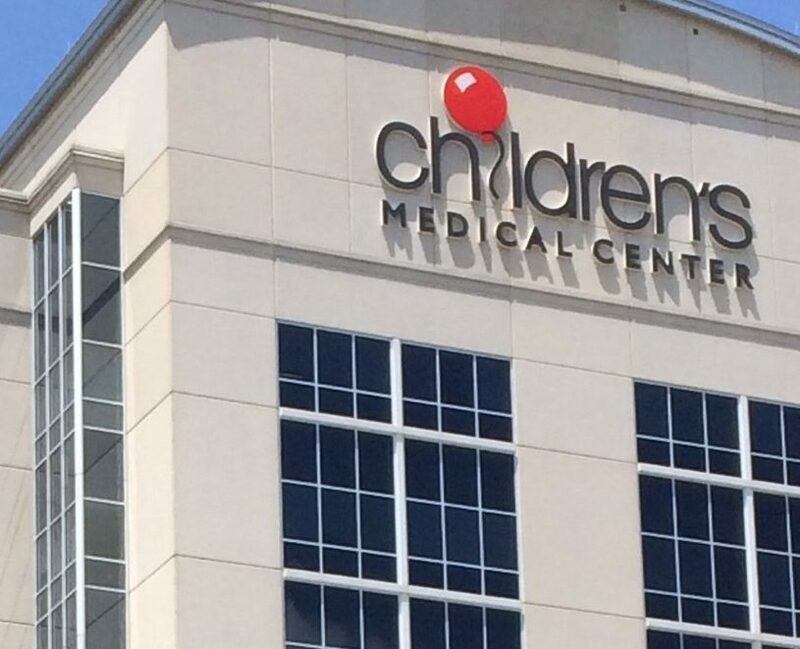 Children’s Medical Center in Dallas didn’t offer us a different diagnosis. Even so, it is well with my soul because our prayers were answered. We had asked God to let us know, without a doubt, if CMC is where our family is supposed to be, and He did. We had peace–His peace. I wish I could explain it better, but as He promised, it does surpass our understanding. Mike and I spent our entire ride home talking about our experience at Children’s. And just like that, we knew our Okie hearts had found a home in Dallas to welcome our little boy—our little Texan—this fall. What a blessing! Thank you Lord for preparing a place where Mike and Dacia fee at peace. Thank you for staff who think of little Samuel as a person- not a fetus. Thank you that you are knitting Samuel together in his mother’s womb. We pray for healing in the womb, we pray for peace for Mike and Dacia, we pray for wisdom and knowledge and skill for all those who will be working with them at the hospital. Equip Mike and Dacia for the tasks you have before them and fill them with your grace. Amen, joining voice with Kathleen’s prayer…Love you! Thank you for sharing this journey with Samuel. It helps us know how we can pray for you and those who are intervening on his behalf.